At the turn of the century, improved internet access, greater mobile phone ownership and easy-to-use digital media platforms transformed social participation in urgent issues of the day. These tools promised to lift the voices of previously silenced citizens and journalists in a new digital landscape -- even in some of the more repressive corners of the world where access to information had been limited and freedom of expression curtailed. 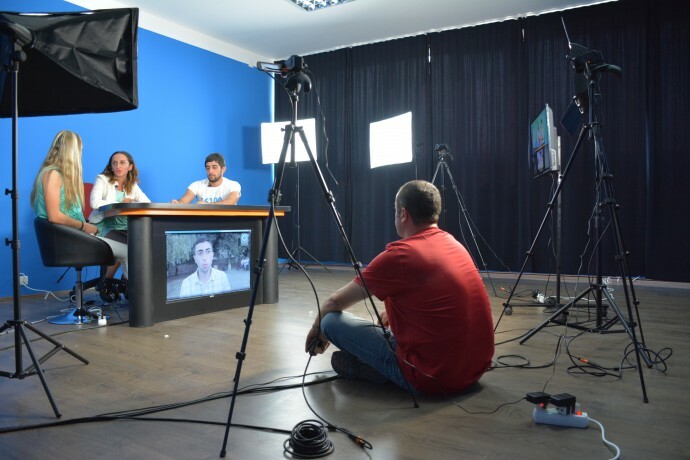 Around the world, USAID’s programs work with local civil societies, media, and governments to develop media laws and regulatory systems that seek to take into account best practices and international covenants around freedom of expression. As a media specialist, I have spent the last two years advising on USAID programming to support the development of a free and vibrant press sector and a free and open internet. I was captivated by independent and citizen journalists, who in the new millenium have shown their fellow citizens and the world popular protests in Burma, Russia, Egypt and other countries. Along with many, I believed these movements were ushering in a great era of democracy and freedom of expression. Instead, today, I see the opposite. There is currently a global democratic decline in 129 developing countries. USAID partner Freedom House’s 2017 Freedom of the Press report cites only 13 percent of the world’s population enjoys a free press—a media environment where coverage of political news is robust, the safety of journalists is guaranteed, state intrusion in media affairs is minimal, and the press is not subject to onerous legal or economic pressures. Media, according to Freedom House, is in the line of fire of authoritarian leaders. Even in democracies, we have seen unprecedented threats to journalists and media. Countries where just years back I saw vibrant, pluralistic media playing important roles in creating democracy, checking government power, exposing corruption, and bringing marginalized voices to the fore are now muted, even silenced. 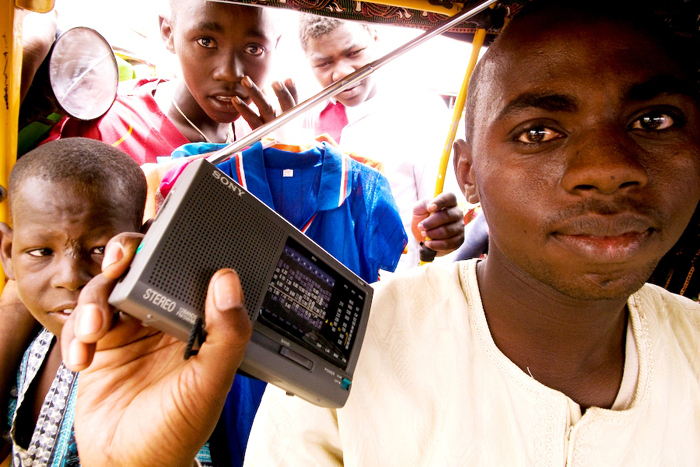 A minicab driver listens to VDO broadcast in Abeche market, April 2009. Recently, I saw one of the more dismaying cases of the loss of freedom of speech. This country experimented with democracy in the recent past until a democratically-elected leader sought to keep his grip on power. He set up a system of patronage and mechanisms to divert state resources for his own personal gain, undermining the checks and balances designed to hold the executive accountable -- including journalists. The country’s free market served as a convenient mask -- he and his family bought nearly all of the country’s newspaper, radio and TV outlets. In such a country, on whose shoulders rests the traditional “watchdog” functions of the media? It is journalists and citizens who publish on social media -- using their voice to demand transparency and accountability. Worldwide, authoritarian-leaning governments, including the country I speak of, are reacting to the impact of citizen’s voices on social media. Here, that includes mobilizing a pro-government troll army that targets people who criticize the government and acquiring sophisticated technology to better surveil or shut down dissent online. Cruder methods include stealing laptops and phones from activists, using cheap keystroke-loggers to hack into their targets’ accounts, and compelling telecom providers to turn over their data. The stakes are high. Checks on power are only within the hands of citizens. And those too may slip away. On top of that, this government has said it will propose new regulations that could further chill public discourse. However, there were some inspiring moments that I saw; as always, it’s the youth. While their parents attended protests when they were younger to make their voices heard, the new generation does so online. “I grew up with social media as the way I express myself. I’m not about to give it up,” one activist told me. And they’re not about to give up their freedom without a fight. They take to social media to hold discussions online, make and share satirical videos, raise attention to the issue in the media, and organize and hold rallies before parliament. This may possibly be the entry point through which they engage more broadly in protecting their country’s democracy. I am energized by how USAID programs and interventions are working to strengthen news coverage, bolster the professionalism and safety of journalists, create an enabling environment (through legislation if necessary), and restructure media companies’ business models so that they can flourish, even under the harshest of conditions. In some countries, media is the only institution in society that keeps power in check, and we need to support it. About the Author: Josh Machleder is the Advisor for Media, Technology, and Internet Freedom in USAID’s Center of Excellence on Democracy, Human Rights, and Governance. Learn how countries around the world stack up in media freedom in the 2017 Reporters Without Borders report. Learn more about USAID’s media and civil society programming around the world.